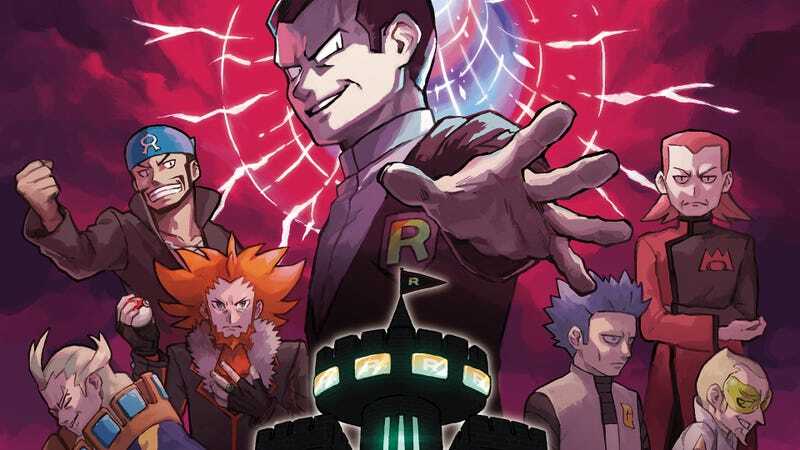 The biggest, baddest Team Rocket ever is blasting off into the Alola region in Pokémon Ultra Sun and Moon later this month, with an all-star cast of series villains headed up by the original baddie himself, Giovanni. It’s unclear what exactly Pokémon Red and Blue boss Giovanni and his team of ne’er do wells are doing in the Alola region, but whatever it is it can’t be good. In the update video introducing Team Rainbow Rocket, along with collectible Totem Stickers, the rent-a-Pokémon Battle Agency, QR Island Scan and returning Legendaries, we see the player approaching a massive fortress sporting the rainbow R logo. Seems like a good place to battle some of the series’ past villains, doesn’t it? Looking at the promo art, we see Giovanni, Team Flare boss Lysandre, Ghetsis of Team Plasma, Team Galactic’s Cyrus, Maxie and Archie from Team Magma and Aqua and Faba from the Aether Foundation. Sounds like we’re in for some pretty epic battles. Pokémon Ultra Sun and Moon launch worldwide on November 17.